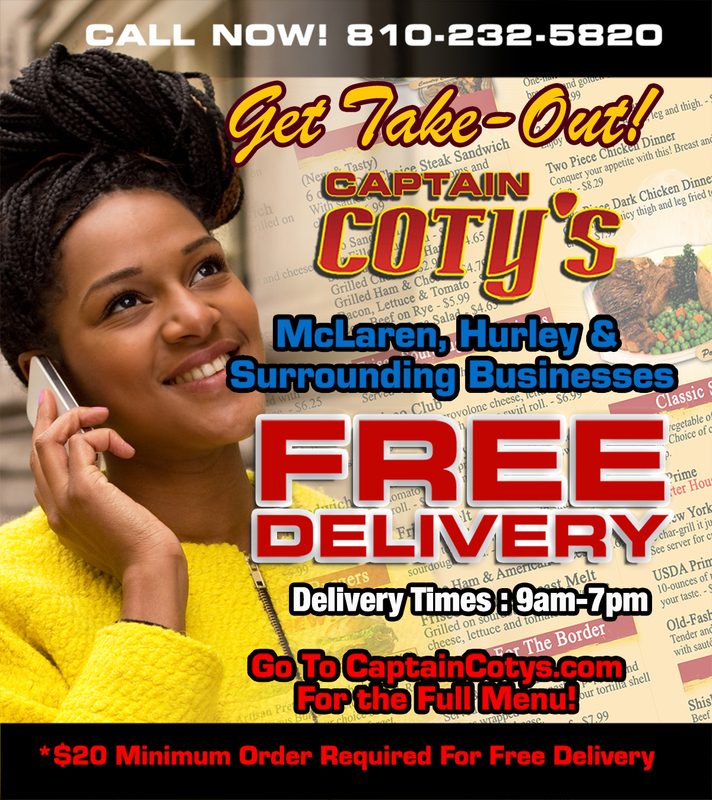 Starting 10/1/2017 Captain Coty’s Offers FREE Delivery to Hurley, McLaren and surrounding Businesses for FREE for orders over $20! 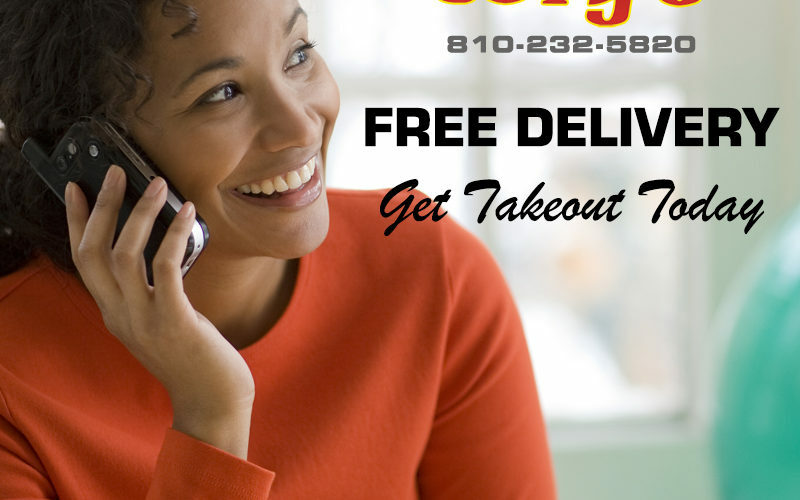 Take a look at our full menu and call 810-2320-5820! 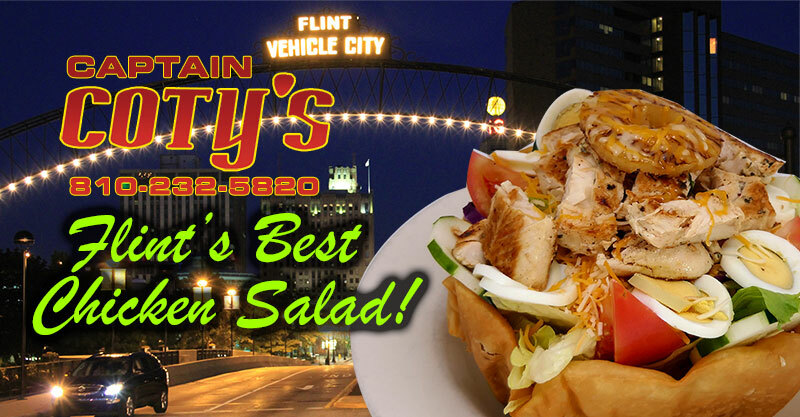 Every Tuesday and Thursday! All Day Special! 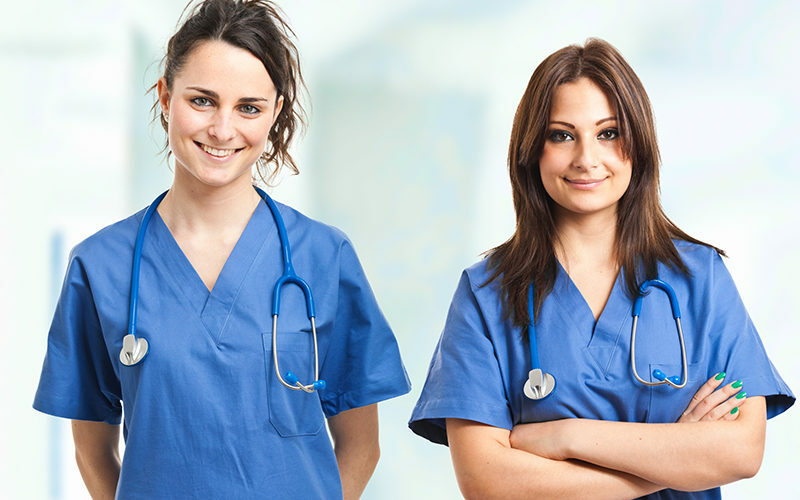 Nurses Buy 1 Meal get 2nd Meal 1/2 Off. 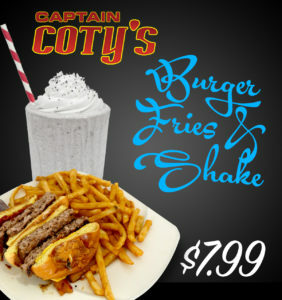 Dine In Only! Nurse appreciation! 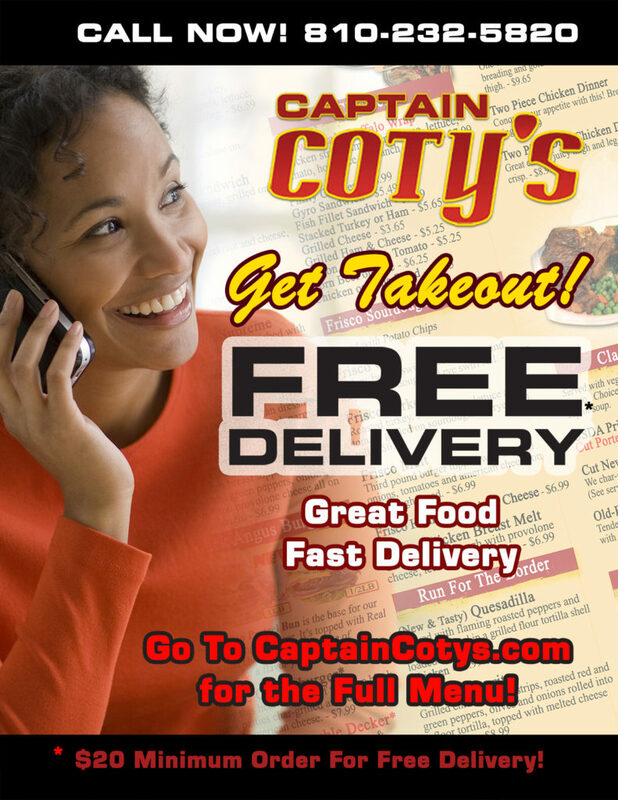 Buy 1 Meal get 1 Meal Half Off! $6.99 Chicken And Waffles EVERYDAY! 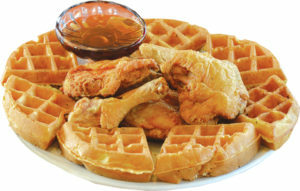 ALL DAY EVERYDAY Chicken and Waffles for only $6.99! Originally $8.99 4 Pc. Chicken, wing, leg, breast and thigh with a malted waffle.